The Cameron Art Museum in Wilmington, NC, Presents the Coastal Carolina Clay Guild Spring Show and Sale, in Weyerhaeuser Reception Hall, Friday May 18, 2012, Reception and Preview Sale from 6pm – 8pm, $10 admission and on Saturday May 19, 2012, from 10am – 5pm, free and open to the public. Twenty-five CCCG members, including well-known potters Hiroshi Sueyoshi and Don Johns will be exhibiting and selling their work at the show. The CCCG, a nonprofit organization, was founded in 2007 by a group of Wilmington potters to promote and exchange information about all types of ceramic arts and to provide mutual support, encouragement, and education for its members and for the community. The guild offer workshops each year with nationally known sculptors and potters for its members and those in the community interested in the clay arts. It also provides community outreach by visiting schools to demonstrate and teach clay techniques to students. In addition, the guild uses its membership dues to offer scholarships and grants to its members. In only five short years, the CCCG has grown to include over 100 ceramic artists from the southeast coastal region. For more information visit (http://www.coastalcarolinaclayguild.org/). The National Art Honor Society and Art Club of J.T. Hoggard High School, will present a check for $550 to Hiroshi Sueyoshi, master clay artist of the Cameron Art Museum’s Clay Studio in Wilmington, NC, on Wednesday, Feb. 29, 2012 at 4pm. For the 5th year students raised money selling their own handmade one-of-a-kind cards to benefit Pancoe Art Education Center’s Clay Studio. Art teachers Anne Sinclair and Hope Hunt collaborated to encourage students to create art that could be used to support the community. Their dedication and generosity supports education programs at the Cameron Art Museum’s Clay Studio. 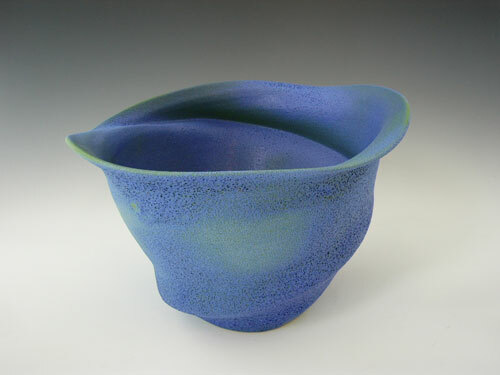 Hiroshi Sueyoshi A native of Tokyo, Hiroshi arrived in the US in 1971 to help build Humble Mill Pottery in Asheboro, NC. Sueyoshi has taught at numerous institutions including Cape Fear Community College. His works are primarily made using the Japanese techniques of neriage and nerikomi. Sueyoshi has exhibited his award winning work in exhibitions across America. His work is in private, corporate, and institutional collections including the Renwick Gallery. Sueyoshi is a graduate of Tokyo Aeronautical College and the Ochanomizu Design School. Pancoe Art Education Center The Pancoe Center houses The Clay Studio, with studios spaces and an outdoor kiln. 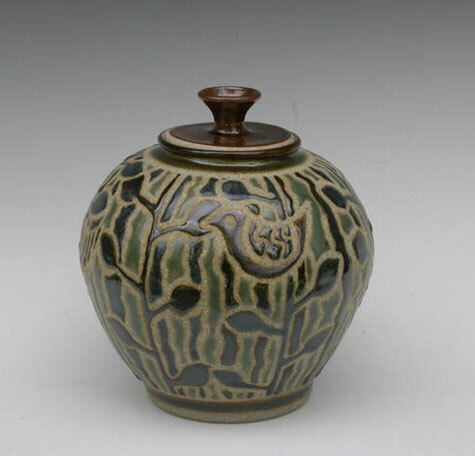 Master artist Hiroshi Sueyoshi works in a fully-equipped, on-site studio focused exclusively on clay. 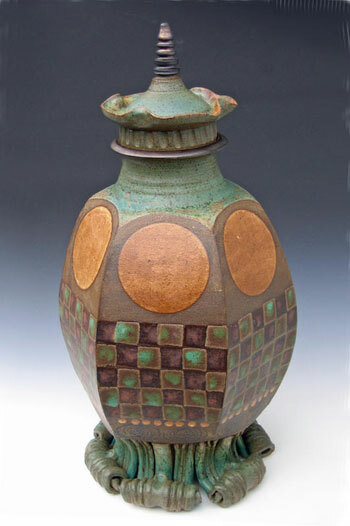 The Clay Studio is established to further the techniques, forms and conventions of clay, while encouraging experimentation in contemporary media, concepts and techniques. The studio offers classes and workshops for both novice and accomplished artists. The Cameron Art Museum presents 6-8 changing exhibitions annually; ongoing family and children’s programs; a unique program of tours for Alzheimer’s patients and their caregivers; The Museum School classes for adult and youth education; interdisciplinary programs (lectures, music, films, literature, dance); Healthy Living Classes and ongoing workshops and classes in ceramics at the Clay Studio with resident master artist Hiroshi Sueyoshi. For further information contact Kim Kelly, Communications Manager by calling 910/395-5999 ext. 1005 or e-mail to (kkelly@cameronartmuseum.com).